What are gas card deals? Companies that require their employees to drive for their jobs and that own at least two vehicles may benefit from researching gas card deals. Fleet cards may benefit companies that have two or more cards and that use between 1,000 and 5,000 gallons of fuel per month. Gas card deals are important when your business is searching for the right fuel cards. Some cards charge high rates of interest that can negate any rewards that a card might offer. For example, CNBC reports that the average interest rate that is charged on gas cards is 24 percent. By taking the time to search for gas card deals, businesses may secure fuel cards at substantially lower interest rates that can help them to save money. Where can I find the best gas card deals? There are many gas card deals that are advertised online, in print media and on television. To find the best offers, it is important for you to pay attention to the fine print. Look at whether the cards offer introductory rates only or if the advertised deals will continue. It is a smart choice to read reviews of gas cards on the websites of national publications such as Fleet Owner or Forbes. You can also read user reviews online so that you can see what experiences that other companies have had with the cards and the companies. Compare the rewards that are offered to the interest rate that will be charged. Calculate the interest that you might pay for your company’s fuel purchases in a month with the cards versus the value of the rewards that you would earn. If the interest is high, you might find that the advertised rewards will pay your company very little. It might be wiser to look at the other features of the cards that are being offered in the gas card deals. For example, it might make sense to try to find cards that charge no or low interest and that do not charge high annual fees. You might also want to find cards that do not require credit checks and that won’t add to your company’s debt. What are gas fuel card deals? 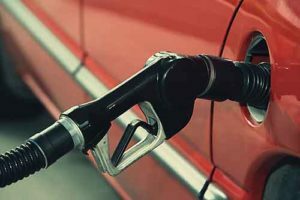 Gas fuel card deals may include offers for cards that give you cash back for gas purchases, cards that offer discounts for gas purchases, or cards that offer businesses smart technologies that can help them to save on fuel expenses in other ways. One of the key factors that you might want to consider when you are evaluating gas card deals is how much money the cards might actually save your company. Losses due to fraud are a big issue for companies. According to a 2016 study, almost two out of three fleet managers reported that fraud was a big issue. Finding cards that help to prevent fraud might save your company more money in the long-term than cards that offer rewards. To find the best gas card deals, it is important that you take time to conduct thorough research. You can complete a lot of your research online by reading reviews of different business gas cards and their current offers. After you have identified a few that sound interesting, you can start to narrow down the list. You can begin by narrowing down your list according to the reputation of the company and the reviews that have been written by others. You will want to choose a company that is well known and that has earned great reviews. For example, Bento for Business has been profiled in national publications and has earned terrific reviews from users, including a five out of five on Capterra. How can I get the most out of the cards? To get the most out of your gas cards, you will want to find cards that give you extensive controls over the spending that occurs in your company. Some cards allow you to set spending limits by the day or by the week on each card. You might also want to search for cards that allow you to restrict their use by the venue or by the expense category. Cards that let you see the spending at your company in real time are also highly beneficial. When your employees’ spending is easier to track, you can identify fraud early so that you can address it before it gets out of control. What is the difference between fuel card offers and gas card deals? Offers of fuel cards may simply be companies advertising that they issue gas cards to consumers, businesses, or both. These offers may include deals or may simply just be the cards themselves. Gas card deals may include perks that come with the cards. For example, a deal might offer a flat discount on unlimited fuel purchases or a low-interest rate. 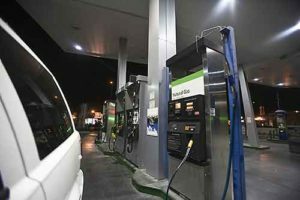 Another deal might be for a fuel debit card that charges no interest and gives you significant control over your fuel expenses. Why should I consider looking into gas card deals? It is important to look into gas card deals because the right cards can help your company to save substantial amounts of money. Cards that can help you to avoid going into debt while also preventing fraud might offer the most benefit to your company. Comparing different deals can allow you to calculate the savings that your business might realize. When you are trying to figure out the savings, consider fraud prevention technologies. For example, one fleet manager was able to reduce the fuel spending at his company by 37 percent in just two years by adopting smart technologies and fraud prevention techniques. This means that opting for a card that helps to prevent fraud might save the most money for your company. What is the best gas fuel card deal currently available? The Bento for Business Visa debit card is the best deal that is currently available for gas cards. The cards are not credit cards and will not require you to submit to credit checks. You can get up to 10 cards for an affordable monthly fee of $29. The cards give you substantial controls so that you can place limits on where, when, and how much can be spent with each card. The Bento cards let you see how your company’s funds are being spent in real time. You can log into your dashboard 24 hours per day and seven days per week and review the fuel expense data on each card. If you see problems, you can turn off an individual card instantly by tapping a button on your mobile device. Damon Millington, a 40-year-old employee of Hughesville Raceway Storage in Milton, Pennsylvania, was charged with theft after he allegedly stole in excess of $600 in fuel by charging gas for his personal vehicle to his company’s credit card. Millington was reportedly taken into custody by police on Sept. 21, 2018, after the alleged thefts were discovered. Millington was scheduled for a preliminary hearing on Oct. 19, 2018. It is unclear from the reports how long his thefts had gone on and how they were discovered. 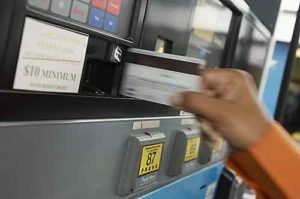 In a particularly egregious employee fuel fraud case, 35-year-old Nicole Seruntine of Destrehan, Louisiana was charged in federal court with stealing more than $500,000 from her employer by using an unauthorized fuel card. Seruntine was a secretary at a company in Old Jefferson when she used her job to issue herself a fuel card in the company’s name without permission. Over a two-year period, Seruntine amassed more than $500,000 in personal purchases, including fuel and food. She also used the card to make cash withdrawals. Seruntine’s job included issuing gas cards to fleet drivers at the company, but her job did not require her to drive. Bento for Business has earned the respect of thousands of satisfied customers with its gas card offers and other payment card solutions. The company offers robust expense management tools with its debit cards and has been profiled in major publications. You can schedule a live demo so that you can see how the cards might work or try them out for free for a 60-day trial. To learn more, call 866.220.8455.